The blurry line between fiction and reality extends to Miles’ journey — a “hero’s journey,” really, of both the physical and metaphorical. He finds himself asking whether or not fame has truly affected him, if he’s changed because of it, if he’s the person he truly wants to be, and where he wants to go in life. Not to mention the wine — he is now completely overwhelmed with free samples of wine (predominantly Pinot, of course) which blurs his perception of reality even further. Through the course of the narration and Miles’ internal dialogue, we see that he’s struggling to find balance: with work, pleasure, family, romance and, the ultimate muse (or is it a distraction?) — wine. The background of the plot is this: Opting to live a Hollywood lifestyle, Miles and Maya are no longer together — her winemaking, country living no longer suits him. But he longs for her — through the whole book he’s thinking of her. At one point there’s a glimmer of hope for our beloved couple, but a sour encounter is a (literal) splash of wine in the face regarding the idea of a reunion. He’s also wealthy enough to put his ailing mother in a retirement home with around-the-clock care. But she’s not happy, constantly crying out her desire to “go home,” home to her sister in Wisconsin. And this is where the adventure truly begins. The chance to be a key note speaker at a Pinot Noir Festival in Oregon isn’t something Miles is actually interested in. He’s pushed by a PR company to participate and is on the brink of backing out when he decides it’s the opportune time to help his mother, Virginia, escape the retirement home, give her one last hoorah of a road trip, and take her “Home.” Knowing it’s an insane idea, he leases a handicapped-equipped rampvan, hires a pot-smoking caretaker, and solicits best friend Jack as his co-pilot. And they’re off to Wisconsin via Oregon’s famous Willamette Valley. What takes place on the road, and the Pinot-fest, is a series of both comedic and emotional events. Yes, Miles re-lives the “bucket” incident from Sideways, yes he hooks up with a few women, and yes he and Jack find themselves in precarious — and at times unbelievable — situations. But we also see a side of Miles that wants to rise above all those crazy wine-induced antics. We re-live childhood memories, learn about his relationship with both his father and mother — the relationship between his father and mother. One-by-one each character — Jack, the caretaker, and even Virginia’s little dog Snapper — leave the road-trip. Miles and Virginia, side-by-side in the rampvan, complete the journey alone. And it’s these stripped away moments that really make the book. We recognize that Miles, like his mother, is searching for some fantasy idea of “Home.” Once in Wisconsin, Virginia realizes the only home she’s ever known, and the only one she longs for, is the one where Miles’ father (deceased) exists. Miles wrestles with how to help his mother fulfill this wish, simultaneously contemplating the decision to return to Maya (return home?) or start a completely new life abroad (a new home?). Like sipping a good wine slowly, appreciating each nuance, each moment, until it all concludes into that beautifully lingering finish, so is Vertical. The finish of Vertical is a lingering one, an ellipsis if you will — and not a Hollywood ending by any means. The decisions Miles makes are not what you’d expect. Miles is an every-man asking the question we all ask, “What makes wine so great?” And he discovers the answers as an every-man: tasting, talking, reading, traveling, and, of course, writing. Wine Pairing: I’ve said this before, but I’ll say it again. A good wine book — fiction or non-fiction — will make you crave good wine. And Rex Pickett’s Vertical does just that. 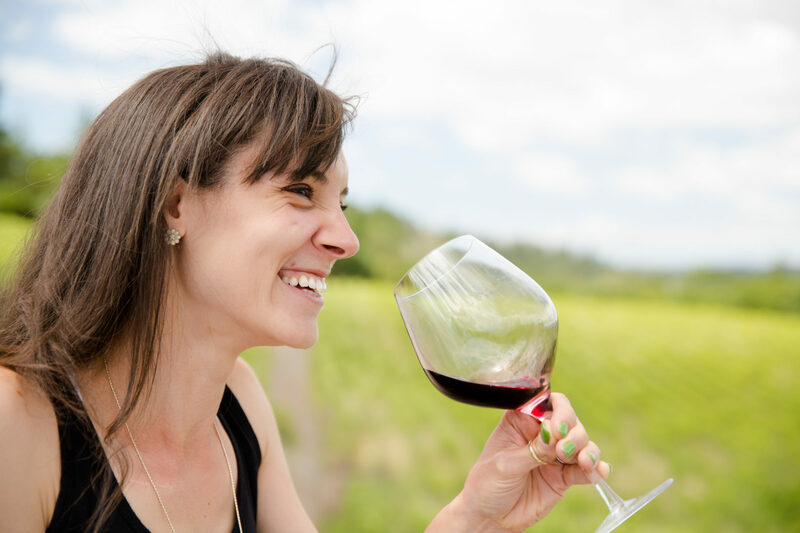 If you want to take your wine pairing literally, then Oregon Pinot Noir is the obvious choice. My personal suggestion: Illahe Vineyards 1899 Project Pinot. But for those of you who don’t want to take the literal approach, I urge you to take the Miles approach. The real Miles approach — the one who longs to understand the mysteries of life and love and, well, wine. So choose a wine that intrigues you, that’s guaranteed to make you think. Drink a f*(kin’ Merlot if that’s what takes you to that existential mind-space. Sip it slowly, appreciate each nuance, each moment, until it all concludes into that beautiful, lingering finish. Rex is currently working on Sideways the musical, and be sure to pick up a copy of Sideways 3: Chile. For more information about Vertical, Rex Pickett, and his latest works, please visit Rex Pickett’s personal website. thanks for gifting me the original! Loved the original version. I haven’t read the revised edition. I thought it was a rollercoaster of emotion. The scene in Fresno is my all time favorite. I still laugh when I think about it! There are some definite lol moments that help break apart the more serious ones. Rex is a talent and can’t wait to read his 3rd!